Although the number of children affected by lead poisoning has gone down in recent years, it remains a significant public health concern in the community. Monroe County Commissioner of Public Health Michael Mendoza says there’s no safe amount of lead to have in a child’s blood. The county saw 924 childhood lead poisoning cases in 2016, down from 988 in 2015. 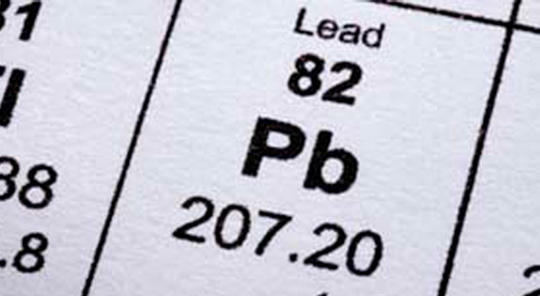 Blood lead levels as low as 5µg/dL (micrograms per deciliter) are now considered elevated by the Center for Disease Control. In 2016, 733 children in Monroe County had elevated blood levels between 5-9µg/dL and 191 tested positive for concentrations above 10µg/dL. Mendoza said it’s a common misconception that this is only a city problem. "There’s a fair amount of concentration of lead in the city that’s for sure, but to say it’s only in the city is also not quite true. There’s quite a bit of lead outside of the city borders." He says the county plans on approaching this issue from a number of angles, including a stronger collaboration between the county and the city, working with landlords to acknowledge and regulate this health burden. "We want to work with the clinician groups to encourage clinicians and practices to screen for lead and to take the results seriously and to act on them. We want people to reach out to us at the county health department to see if there are services that we can avail to the families to do what we can to make a home lead safe even though we can’t make it necessarily lead free." Childhood lead poisoning can lead to a spectrum of issues, including learning and behavioral problems.